Houwa Engineering has supported its customers for many years in the area of air-conditioning, refrigeration, and freezer technology. In particular, as the Japanese population's consumption of bread increased in the post-War years, we have accumulated a wealth of technology in the area of bread-making plant. In those years, we have built an extensive track record of installation of temperature and humidity control systems for fermentation chambers, ingredient water supply equipment, brining equipment, bread coolers, factory ventilation systems, and other equipment for bread factories. In an age in which more importance than ever before is being placed on the quality and safety of food, we will continue our efforts to refine our technology that will support our customers. Design, installation, and maintenance of bakery and food manufacturing plant machinery, air-conditioning equipment, thermo-hygrostatic equipment, industrial heating and cooling equipment, freezer and refrigeration equipment, supermarket showcase equipment, energy conservation and environmental equipment, water supply and drainage sanitation equipment, automated control, fire extinguishing equipment, etc. 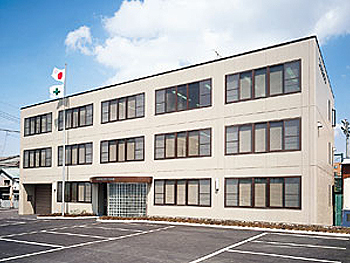 Company is established with a capitalization of ¥3 million in Suhara-cho, Showa-ku, Nagoya. Capital is increased to ¥20 million. Capital is increased to ¥30 million.